Even if you were one of the few people that enjoyed Limitless, you will probably still hate Lucy. A drug without a name is used that enables someone to use more of their brain. As interesting as this sounds it was done with Limitless three years before and the brain already operates at 100% capacity. This fact makes the film drag on with too much scientific lingo and it becomes boring before too long. Listening to the science behind this film could potentially lower your IQ. Can this even be classified as a film though? Half of it is, the other is a montage of clips that are either used as a metaphor to explain what is happening, or to give the audience something to look at whilst Professor Norman (Freeman) tries to bore them to death with science. The dialogue, and not the scientific babble, is enough to make you stop, groan, and then think “who even cares”, especially when the plot isn’t moving forward. In the case of Lucy talking to her mum this stands, but it is also incredibly awkward and non-essentially to the plot. Why she she talking about the time when she was breastfed? Johansson is terrible as well and can’t salvage this wreck due to her horrific acting – it’s robotic, she uses a monotonal voice, and there is no emotion delivered. The only way the film could have get worse would be if the first hour was establishing a plot and the rest was over-the-top science which was neither enjoyable nor plausible. That, unfortunately, is the plot. 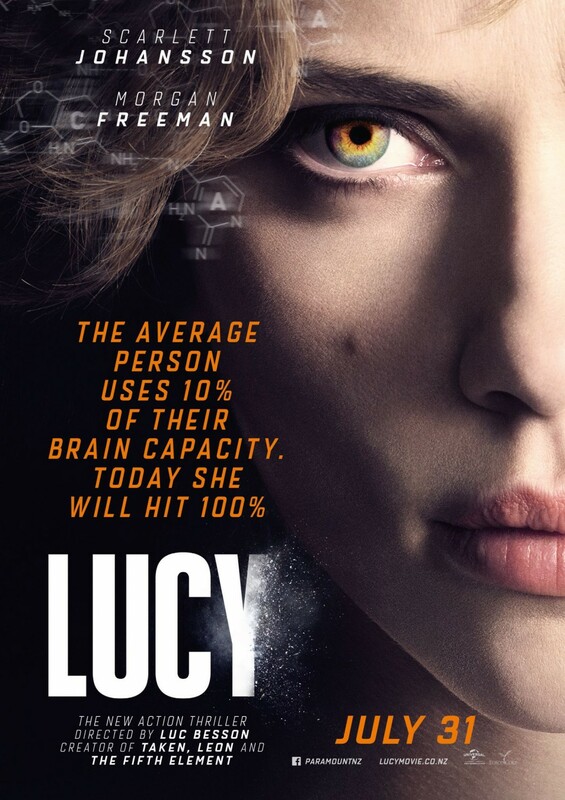 With too much scientific jargon, some terrible acting, and no distinguishable ending, Lucy offers nothing new that is good. The new ideas that is does offer are confusing and not enjoyable to watch. It’s not even worth mentioning that Luc Besson is the director which is why the majority of the film is set in Paris. Most of his films are. What would have been a better name for the film? “The Exorcism of Scarlett Johansson”. Tagged 1/5, Fantasy, Review, Sci-fi. Bookmark the permalink.